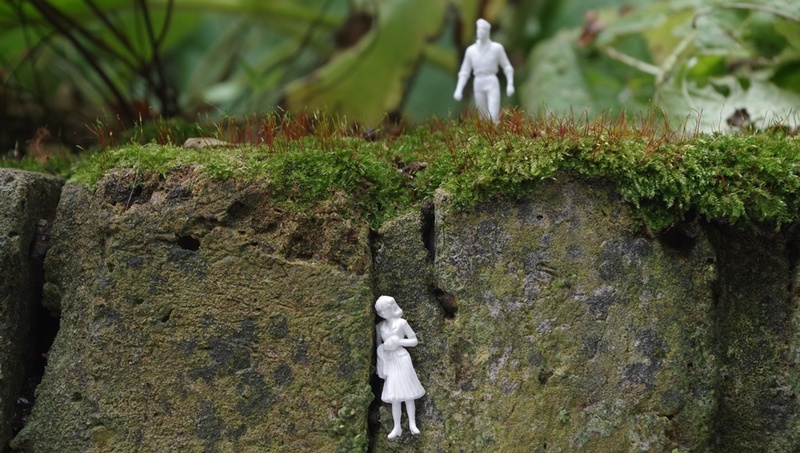 Home Botanical selfies London’s first Moss Trail! 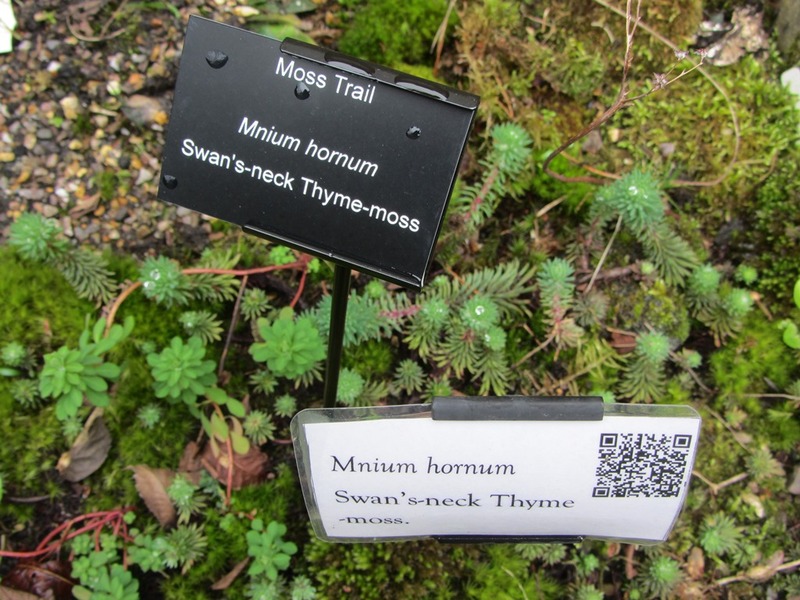 Dr M is delighted to present this post on London’s first moss trail at the South London Botanical Institute (SLBI), based in Tulse Hill, launched London’s first Moss Trail in its garden on Saturday 14 March 2015. The Moss Trail features twelve different kinds of moss, all clearly labelled in a trail around the garden. The Moss Trail launch was part of the SLBI’s “Moss Day” which also included a moss photography class, children’s mossy craft activities and microscope activities for all ages. The Moss Trail was officially opened by Roy Vickery, SLBI President, Pete Howarth, the bryologist who has set up the trail and Mari Whitelaw, the bryologist who has been running other recent moss-based activities for the SLBI. The Moss Trail features twelve different bryophytes (mosses and liverworts) all growing in the SLBI garden, including the curly Tortula muralis (Wall Screw-moss), the silvery Bryum argenteum (Silver-moss), the swan-shaped Mnium hornum (Swan’s-neck Thyme-moss) and the vivid yellow-green Barbula unguiculata (Bird’s-claw Beard moss). An illustrated leaflet outlining all of the mosses, together with a map, is now available to visitors. The Moss Trail launch is the culmination of a 2-year “Mad about Mosses” project funded with a grant of £25,000 from the Esmée Fairbairn Foundation. Previous activities have included field identification trips, lectures, moss graffiti workshops, moss drawing classes and children’s moss drama days. As well as being open for special events like Moss Day, the SLBI is open on Thursdays (10am-4pm) and Saturdays (10am-2pm) for people to visit the garden, library and herbarium. Full details of all other events and activities can be found on the SLBI’s website here. 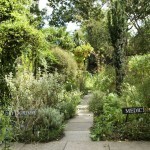 The South London Botanical Institute (SLBI) was founded in 1910 by Allan Octavian Hume, with the aim of bringing botany to the working people of south London. Hume was a servant of the British Raj, a founding member of the Indian National Congress in 1885 and a dedicated social reformer. He bought the1860s Victorian house and converted it for his purposes early in the twentieth century, installing the library and herbarium and laying out the garden. The herbarium cabinets were designed by Hume, are still in use and contain plant specimens dating back as far as 1802. 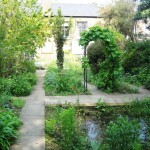 The garden has evolved and now has a thriving pond, particularly popular with our visiting school children. The SLBI is open to the public on Thursdays 10am-4pm, Saturdays 10am-2pm, for various events and activities and by appointment (subject to volunteer availability). It runs a wide-ranging botanical and environmental programme of educational and social activities for many ages and levels of knowledge. 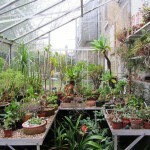 SLBI collections are used for research and in the online Herbaria@Home. SLBI and its collections help understanding about botanical collecting and how botanical discoveries fuelled developments in medicine and agriculture as well as generating income. Elements of the collections are presently contributing to external academic research programmes. The Esmée Fairbairn Foundation aims to improve the quality of life for people and communities throughout the UK both now and in the future. They do this by funding the charitable work of organisations with the ideas and ability to achieve positive change. The featured image at the top of this post shows the official opening of the mass trail with Mari Whitelaw (second from left), Pete Haworth (third from left) and Roy Vickery (far right) launch London’s first Moss Trail, with participants in the Moss Day photography and craft activities. Dr M says: This Moss trail’s a great idea, if you know of any other moss trails or similar themed plant walks/trails get in touch!